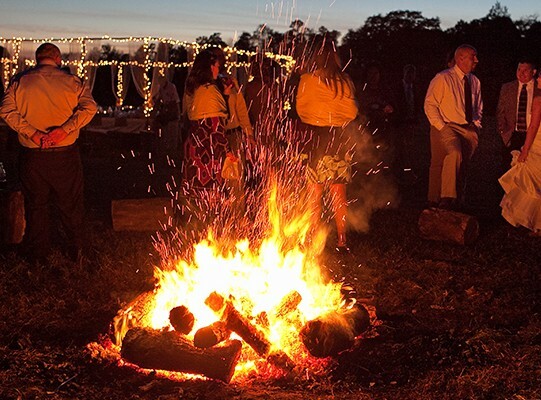 Keep guests warm by having a bonfire at the reception! See more photos from this wedding on the source. See a tutorial for making a bonfire pit with paving stones. See a bonfire pit made with cinder blocks.